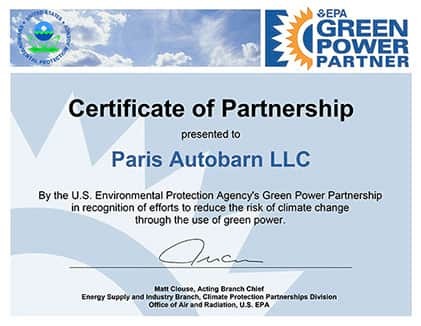 As an EPA Green Power Partner we are committed to reducing our carbon footprint. 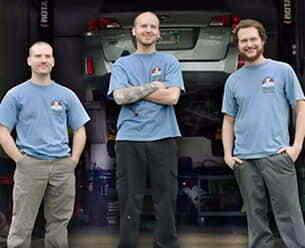 We are your local Honda & Subaru specialists in South Paris, Maine. Our friendly and experienced service team will keep your vehicle in top condition. We welcome all makes and models, using the latest technology and products on the market. We use the most sustainable practices available to automotive service industry. We are ASE Certified professional mechanics and have over 30 years combined experience. We’re committed to serving the Oxford Hills with integrity in our work and with value for your money. From head gasket to tailpipe, we’re dedicated to keeping you safe on the road. We are a business member of the Maine Organic Farmers & Gardeners Association. We’re regular folks just like you, trying to do our part to make our community a little better. We’re using our combined 30 years of experience to keep you informed and safe on the road, and we’ll always treat you and your ride with the respect you deserve. Like you, we live, work, and play in the Oxford Hills, which is why we’ve committed ourselves to a greener approach. We’ve switched to solar power, efficient heat pumps and LED lighting, and we’re using green oils and lubricants, and greener alternatives for your ride. We’re committed to serving South Paris, Norway, Oxford, Otisfield, Hebron, Buckfield, Minot, and the surrounding areas with honesty, quality, and value. 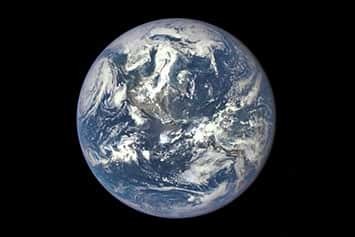 And we’re committed to partnering with businesses and organizations that care about the planet. The three pillars of sustainable accounting guide our business model of social, ecological and financial responsibility. We’re using our combined 20 years of experience to keep you informed and safe on the road, and we’ll always treat you and your ride with the respect you deserve. 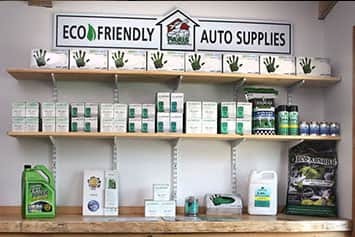 We use and sell products that are good for the planet and better for your car. We continue to upgrade our garage and services with the most advanced products and technology. Contact us for inquiries and to schedule an appointment. ReVision Energy installed our new solar array on top of Paris Autobarn, which provides 100% of our electric needs and make us a net zero business. The installation consisted of a 45 panel photovoltaic array that provides roughly 15,478 kWh of clean, renewable energy each year and offsets an estimated 14,209 lbs of carbon pollution per year. This amount of renewable energy is equivalent to the prevention of 2,659 gallons of gasoline from being used and 25,383 pounds of coal from being burned. ReVision sized our system to offset our entire electric load, and when coupled with air source heat pumps, we are now a carbon neutral facility. We consider ourselves specialists when it comes to your Honda or Subaru. Our technicians have years of experience working for Honda and Subaru dealerships and have received factory-training in the past. Whether you need major repairs or factory required maintenance, we have you covered. Oil filters are made of steel and can be recycled into new products, such as cans, cars, appliances and construction materials. Recycling all the filters sold annually in the US would recover about 160,000 tons of steel, or enough steel to make the latest cruiseship. Paris Autobarn offers free oil filter recycling and is available to anyone who prefers to do their own oil changes. 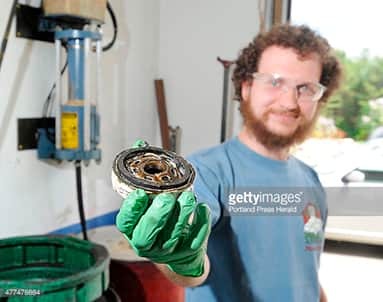 We’d like to keep oil filters from being thrown into the trash. Our oil filter crushing machine removes up to 95% of residual oil from the filter and allows for the recycling of both the used oil and the metal filter casing. Drop off your used oil filters today! Paris Autobarn is now part of Call2Recycle®, a program dedicated to promoting environmental sustainability by providing free rechargeable battery and cellphone recycling. Here’s what you can recycle? Here’s how you do it? Bring them in to Paris Autobarn and we will take care of the rest. 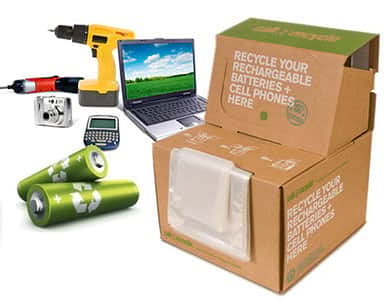 Since 1996, Call2Recycle® has safely diverted over 100 million pounds of rechargeable batteries and cellphones. 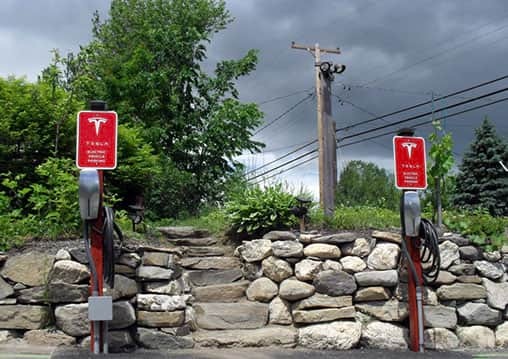 We offer charging for all makes and models of electric vehicles with our 240Volt, level 2 electric vehicle charging station and two Tesla destination chargers. While your vehicle is charging come inside our office and make use of our free WiFi. You can also check out some of our many earth friendly products, including ultra low rolling resistance Nokian tires for your EV. All three of our electric vehicle charging stations are solar powered. See our listing on PlugShare for more information. The ClipperCreek HCS-60 charger is compatible with all plug-in vehicles available today. With 48 Amps available for charging, the HCS-60 is perfect for vehicles that can take advantage of higher charging currents like the Nissan Leaf, Kia Soul EV, or Tesla Model S A rubber cable jacket increases cold weather flexibility of the 25 foot long cable. ClipperCreek products are made in the USA, compatible with every vehicle, and automotive supply chain certified. The two Tesla Destination chargers are compatible with the Tesla Model S, Model X, and the upcoming Model 3. Each charger has a maximum 80 Amp output which is compatible with Tesla vehicles with dual on board chargers and allow for the highest charging rate possible on a destination charger. 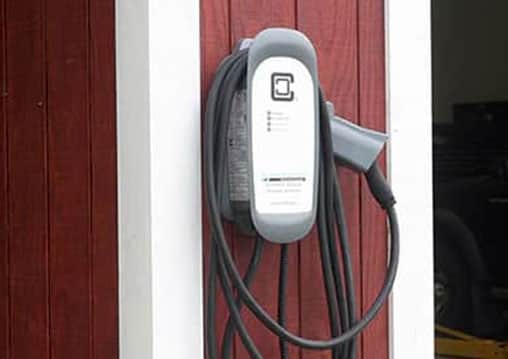 Charging is offered free of charge for all regular Paris Autobarn customers. 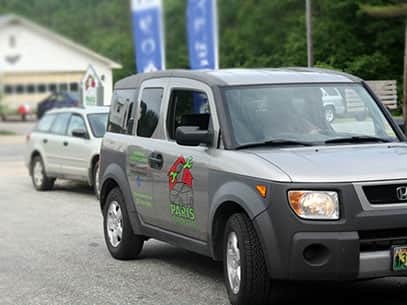 Paris Autobarn provides the most environmentally friendly automotive repair and service in South Paris, Maine. We strive to use the most sustainable practices currently available to the automotive service industry and we are always looking for new and innovative ways to protect our environment. 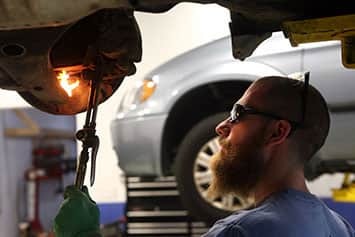 Our goal is to become the most eco-friendly automotive repair facility in the area while doing our part to reduce the effects of climate change.